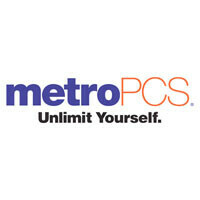 If you’re on a budget and looking for a switch from one of the big guys, MetroPCS is running a pretty sweet promotional offer. 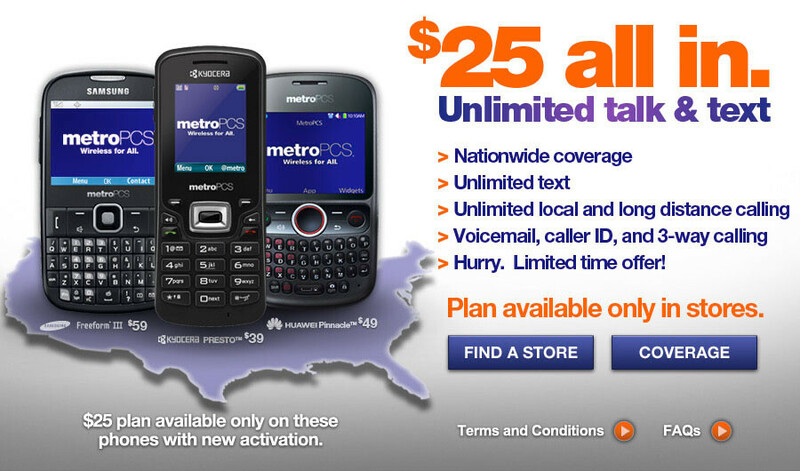 For new activations only, MetroPCS is offering unlimited local and long distance calling, unlimited text, and the usuals (voicemail, caller ID, 3-way calling, etc) for only $25 a month with tax and regulatory fees included. This deal lasts until June 30 and is only available in store. What’s the catch? Besides being available only to new customers, it is limited to just three handsets: the Huawei Pinnacle, Kyocera Presto, and Samsung Freeform III. Data, including MMS, is an additional charge. Great deal for those who need basic phone access. If you want a basic phone on the cheap per month, sounds like a great deal. Too bad the coverage isn't better.